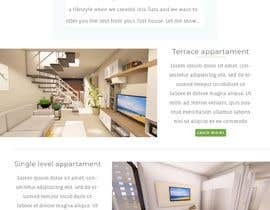 Looking for a creative web designer to build a website for my Property/Construction company that is designed to be looked at on a mobile and takes inspiration from brands like, Coca Cola, Sony, Virgin. A clean, fresh, innovative, elegant website. A website that's easy to navigate and has wow factor. I like how when you scroll down on the Coke website the brand logo stays at the top of the page, we are looking for similar impact in our design. I like the lines at the top of the website that you click to open the sections rather than seeing all the topics across the top of the Homepage. I want a contemporary font for the text, nothing that looks old fashioned. I have attached the company logo and branding, plus mockups of what the apartments will look like externally and internally. I would like to see single images on the Homepage, no collages as it looks too busy, I prefer to link to the Developments Tab to see more. The first apartment block we are building and that the photos represent is called: Residential Aelius. Aelius means sun in Greek. I have attached a flyer that has the logo for the Aelius building, can you please include the Aelius logo in the design. 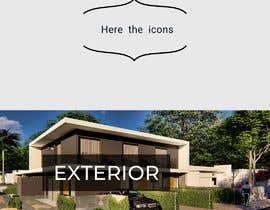 I would like the corner block image to be the featured image on the Homepage and possibly a couple of interior images. We have added 3 light wells to the roof design, see Corner block2, Exterior and Front image uploaded today but still making some revisions to the design so I will send the winner the final images. There are 5 apartments, 3 double storey terraces and 2 single level apartments. I am happy for the entries to be in english but the final website will need to be translated into portuguese, as it is a Brazilian website. I will send the text to the designer. Developments - Exterior, Interior, Floor Plans, List Your Land. Community - for prospective buyers to explore the local area, amenities and facilities. Edit to add - I have extended the contest, please submit an entry that represents everything I have asked for. We are a new company so we don't have a portfolio of buildings, this is our first construction so please design a website that reflects this. We would like to work with the winning designer on an ongoing basis. Working on it please wait. Thank you. I could explain this: "I would like to see the website open with the floripapuente.jpg file then automatically link to the homepage after a couple of seconds." check your new website full homepage design on my entry #66.
check my entry #65 of responsive design for your dream website. wait for my entry. i am working. Please check my entry #30 and give me some feedback. May I request to reject outright designs COPY-PASTED from a template and those not relevant to the brief. #sealed THE CONTEST PLEASE TO AVOIDS COPYING DESIGNS. you only need the design (PSD) or functional website.